Netanyahu vows to intensify Israeli efforts to force Iran out of Syria after US withdraws forces from country. Israel will step up its fight against Iran in Syria after the United States withdraws its troops from her neighbor to the north. “We will continue to take very strong action against Iran’s attempts to entrench itself in Syria. 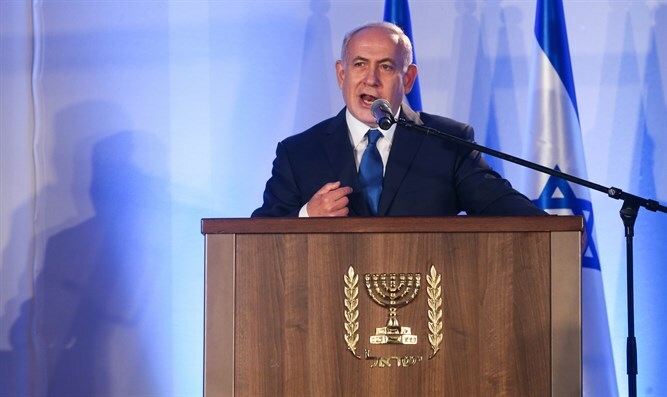 In neither of these sectors do we intend to lessen our efforts; we will intensify them, and I know that we do so with the full support and backing of the U.S.,” Netanyahu said Thursday in a statement to the media. On Wednesday, President Donald Trump launched a full and accelerated pullout of the 2,000 U.S. troops in Syria, a move that could leave a vacuum that Iran will be eager to fill. Trump on Wednesday confirmed the reports of a pullout in a tweet. “We have defeated ISIS in Syria, my only reason for being there during the Trump Presidency,” he said. Remaining in Syria are Russian and Iranian advisers as well as troops belonging to Hezbollah, the Lebanese terrorist militia allied with Iran. Iran, Hezbollah and Russia are aligned with the Assad regime. Turkey, which also has exercised influence in Syria, has backed the rebels. Israel has carried out hundreds of airstrikes in Syria mostly in secret during the seven-year civil war to prevent Iran from gaining a foothold near its border and to keep weapons from traveling through the territory to Hezbollah in Lebanon. Israel is concerned that the U.S. exit from Syria could reduce its diplomatic leverage with Russia, the Syrian government’s main supporter, according to Reuters.